Home / Blog / How can telemedicine advance care coordination? It's no surprise that telehealth is beneficial. Health care professionals can provide better quality care to more patients who don't have immediate access to hospitals and health facilities due to distant restraints and more. Additionally, there's another advantage that stems off access to specialists: care coordination. As defined by the Agency for Health Research and Quality by the U.S. Department of Health & Human Services, care coordination is the activity health care providers design for patients to ensure their care needs and preferences are met. "Telehealth offers a new way for patients to communicate with doctors." Some providers argue that telemedicine diminishes physician/patient relationships, but existing research shows that it can strengthen them. Telehealth offers a new way for patients to communicate with their doctors, especially those who didn't have ease of access to begin with. Research published in the Official Publication of the College of Family Physicians of Canada stated that telehealth technology allows patients and physicians to develop familiarity with each other, which increases patient satisfaction, trust, compliance and overall health outcomes. Additionally, when patients have easier access to care through telemedicine, they're more likely to stay engaged and proactive about their overall health. According to a study conducted at Bon Secours St. Mary's Hospital in Richmond Virginia, nearly 92 percent of the hip and knee replacement patients enrolled in the telehealth program were discharged directly to their homes after surgery, as compared to the national average of 30 percent. With telehealth, the patients were more engaged and prepared for the process, which lead to fewer issues and complications that could keep them in the hospital longer. 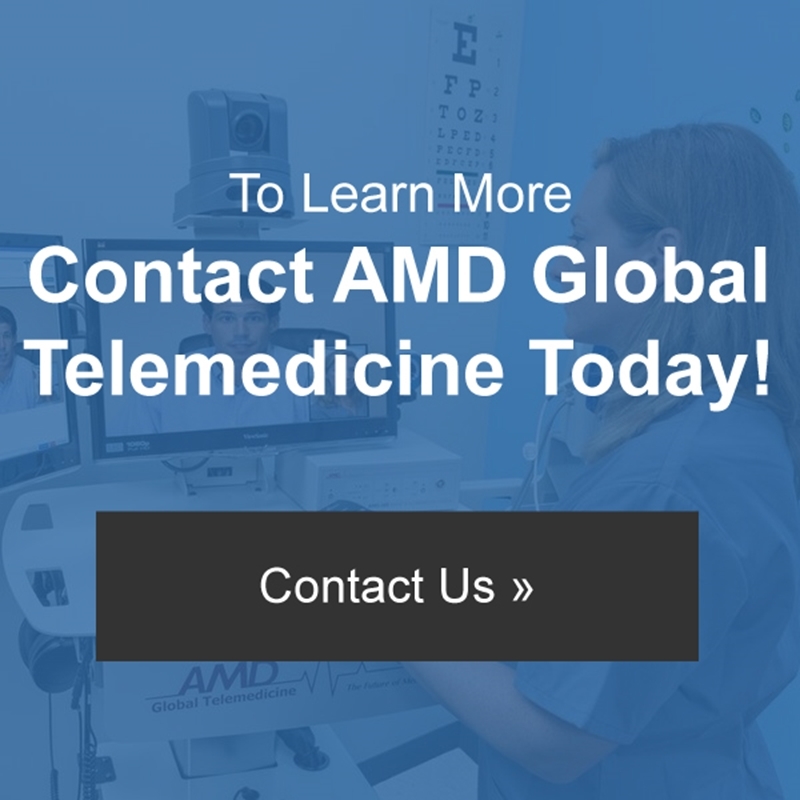 From encouraging care coordination to supplying providers with unique telemedicine systems, AMD Global Telemedicine offers health care professions easy-to-use, high quality telehealth technology tools that can prepare your organization for the future of the ever-changing industry. With our quality products, you can help your patients stay engaged in their overall health and wellbeing.